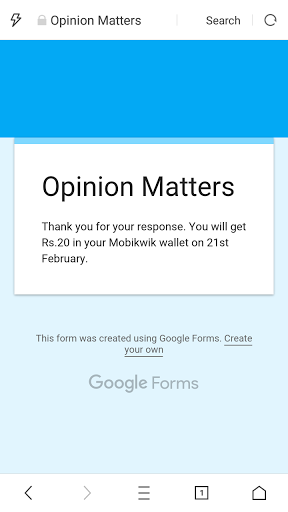 Get ₹20 in you Mobikwik wallet on filling a short survey. mobikwik is a trusted partner and they are not asking any confidential information. So you can have a try. 2. In the first page mark the choices of the questions you are asked for. 4. Thats it !!! Now you will probably 😛 receive Rs 20 on 21st February.